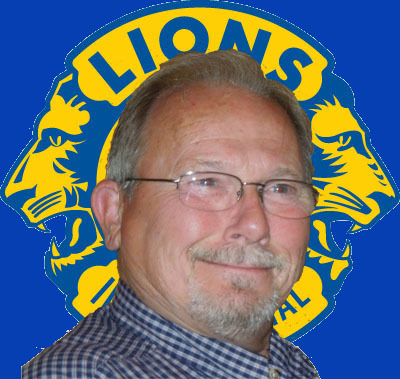 On August 9, 1940, a group of twenty men and George W. Bormuth, special representative of Lions International, met for dinner at Akins Tea Room in St. Joe and the St. Joe Lions club was formed. An election of officers resulted in the selection of Charter President, Frank R. Bowman. The club set September 16 as Charter Night with Dale Wicoff as general chairman of the special committee. Other charter members were well known men from the general area of St. Joe and Spencerville. The plans for the Charter Night went smoothly until....an infantile paralysis epidemic quarantined many of the clubs that were expecting to attend. A future date was selected as October 21, after the DeKalb County Free Fall Fair. It should also be noted that the fair was canceled that year for the same reason. Quoting from the St. Joe News, "200 Lions and Lionesses attended the Charter Night at the St. Joe High School Gymnasium. The PTA provided the banquet and it was served by 20 high school girls and boys. All the people privileged to be present long remembered the evening as one of intellectual profit, music, friendship, and fun. Contributing most to the latter was the alertness of the TailTwister, Stanley Garman. If one erred in judgment, in rendition of songs, if one violated some Lion's law, one was pounced upon by the Tail-Twister and only one thing could placate him—it was a dime for the kitty" . The St. Joe Lions were sponsored by the Auburn Club and they presented us with a beautiful bell (still in use) and a large flag and staff.